I don’t wear a lot of jewelry, but when I do, I’ll wear necklaces, like this really pretty mom-necklace my mom gave me for my birthday. 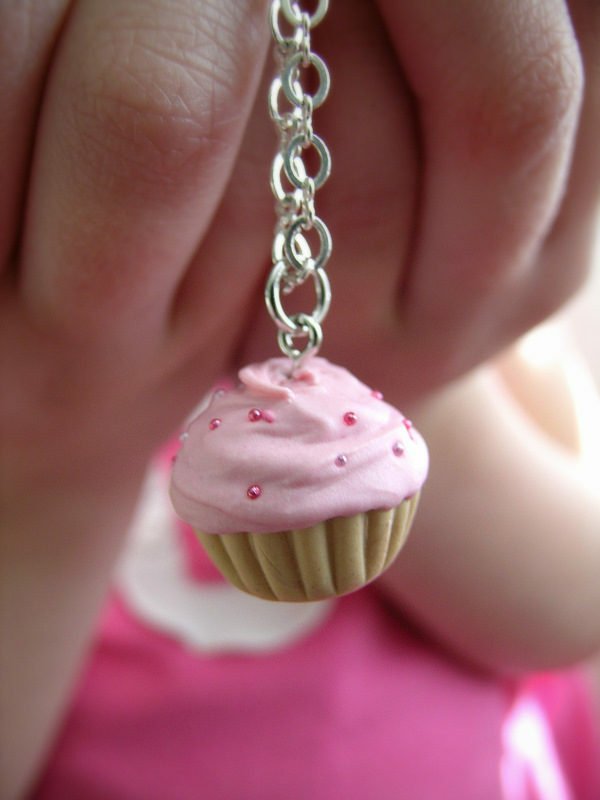 So when Wendie from Miss Kitty Creations contacted me about reviewing her handmade cupcake charms, I was immediately interested because I also love displaying my cupcake-love in necklace form! Wendie’s cupcake charms are scented with realistic scents that almost remind me of my old Strawberry Shortcake dolls – I just love that smell! 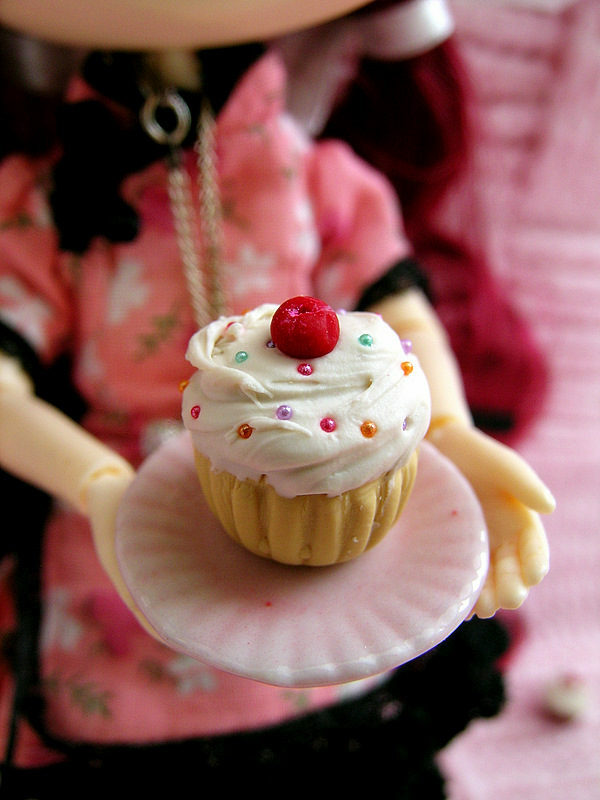 The charms are about 3/4-inch tall and if you have collectible dolls, these cupcakes are a perfect size for them (like mine pictured below). And my 4-year-old daughter chose to customize a cupcake with vanilla cake, strawberry icing and light and dark pink sprinkles. 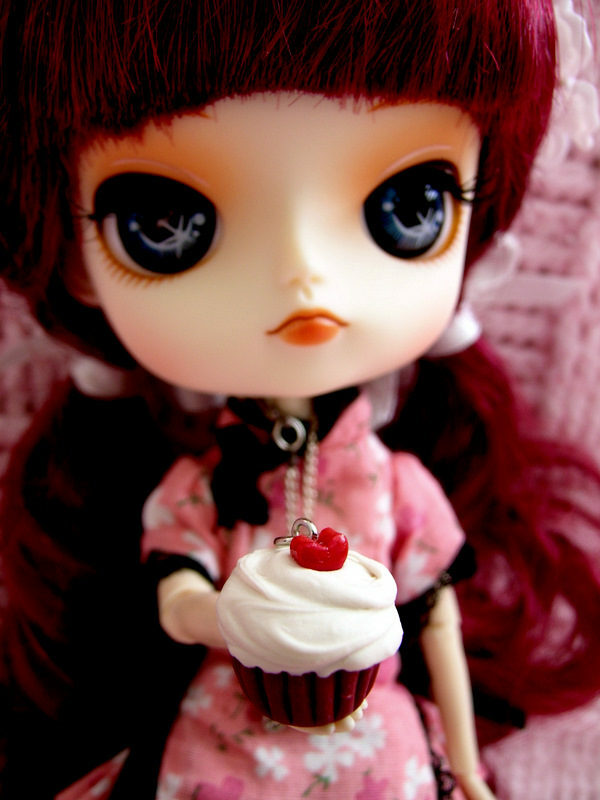 She’s so pleased to have her very own cupcake necklace! And it smells like strawberries! We also got one of the new rainbow sprinkles cupcakes, which are Wendie’s interpretation of the classic cupcake. Ours is the vanilla cake one and it is scented with a custom blend of maraschino cherries and buttercream – yum! 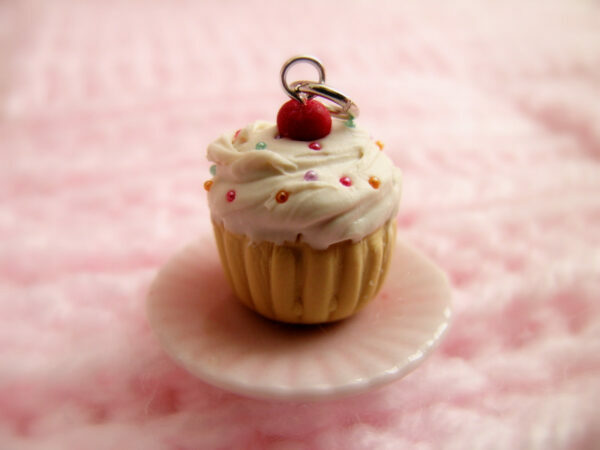 And we also received this tiny little pink plate with our cupcake charms, how cute! Wendie makes scented fruit tart charms and custard pie charms as well, and if you purchase one of her Think Pink or Make A Wish cupcakes, she will donate all proceeds to the Canadian Breast Cancer Foundation or the Children’s Wish Foundation, respectively. 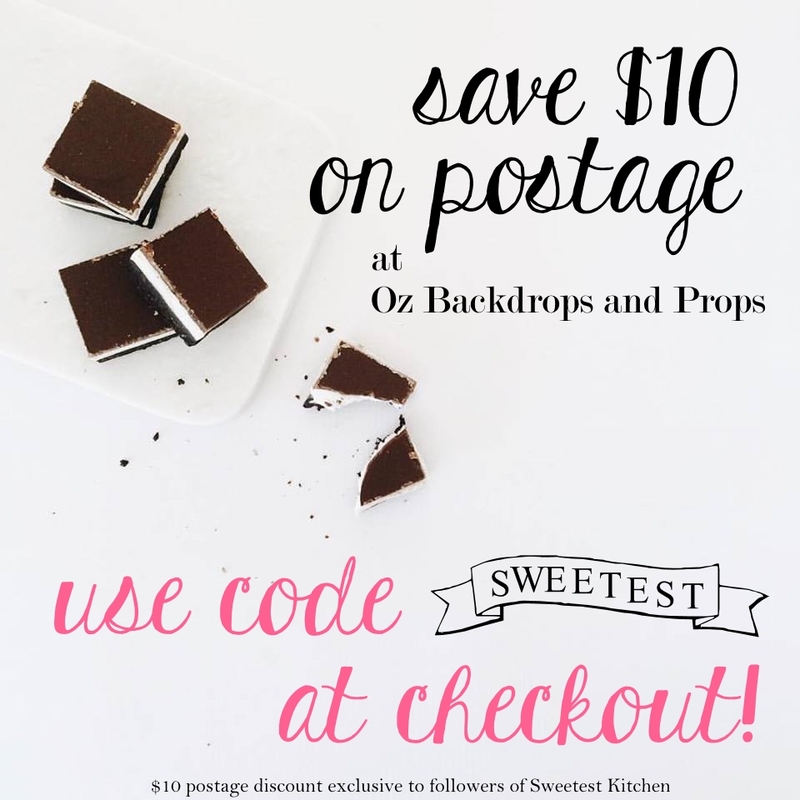 Buy your own cupcake charms from Wendie’s website or Etsy shop! Or, enter my Mystery Box Cupcake Challenge to win one of Wendie’s cupcake charms – she will be donating one cupcake charm to the winner each month beginning with August’s competition! Thanks Wendie! OMG these are adorable! I will definitely showcase these on my daughters website at http://www.cupcakekidcafe.com! I will have to order her one too!!!!!! Wonder if they smell as good as they look?!? Thanks for sharing!